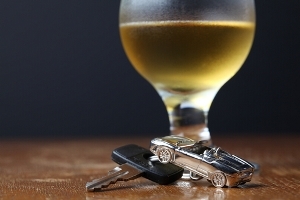 Can a South Carolina Bar That Over-Serves a Patron Be Held Liable for A Drunk Driving Accident? Every night around South Carolina, bars, restaurants, and other establishments “over serve” patrons, then put them on our roadways. Whether it be a second bottle of wine in a fine restaurant or too many rounds of tequila in a college bar, businesses often sell far more alcohol to a driver than should be consumed before hitting the road. When this happens, our community is put at risk and the likelihood of serious car accidents increases. Bars and restaurants are in business to make money. Alcohol produces huge profits for many of them. I recognize that owners of these establishments must sell large quantities of beer, wine, and liquor if they are to make a living. That is perfectly understandable. As a lawyer, I am also a small business owner, and not one to interfere with free enterprise. However, if these establishments are going to engage in over-serving, they must accept the responsibilities that come with that activity. In South Carolina, one of those responsibilities is known as “dram shop liability.” The idea is that if you get someone drunk, you are in part responsible for what the drunk person does when he leaves your establishment. For instance, if a restaurant “over serves” a couple with complimentary champagne after the couple has already consumed two bottles of wine, the restaurant may be liable if the husband crashes into an innocent driver on the way home. Likewise, if a bar hosts a college party and one of the young girls drinks too much liquor then strikes a pedestrian, the bar could be held in part responsible. My job as a South Carolina car accident attorney is to help injured people receive full compensation for their losses. The only way to achieve that aim is to hold at-fault parties liable for the harm they cause or set in motion. Therefore, when a drunk driver injures or kills an innocent person, the drunk driver as well as the bars and restaurants that set the foreseeable event in motion must be held accountable. Otherwise, the loss falls on the shoulders of the innocent. If you have questions about a drunk driving accident in South Carolina, I am here to help. To receive free copies of my books and schedule a free consultation, call my Columbia office today at 803-790-2800 or contact us via the live chat feature below. Our central location allows us to serve families across the state.